Pre-decision Best Practices: Why do many companies have a 50% rate for assignment rejection? It is primarily because the potential transferees do not have a clear understanding of the destination location and the support available for their families. Assignment rejection and failure can be very costly to a company. Firms spend an average of half a year’s salary in recruiting and training when onboarding a new employee. For high-level executives, the expense can be six to nine months of their salaries. However, according to the ERC, it can be as high as three-times an annual salary for international executives. If assignments are rejected, or fail after a move – which adds much more to the financial loss – companies must go through the expense of onboarding and training new staff. How can companies ensure that they get the right people in the right place at the right time and for the right price? The answer is to use pre-decision programs. Global Mobility Solutions (GMS) is the pre-decision pioneer and we continue to develop new, innovative features for pre-decision programs. Although the number is growing, currently only 22 percent of companies around the world are utilizing pre-decision programs. However, when working with an RMC, nearly 60 percent choose to incorporate pre-decision into their mobility management solutions. Employees decline relocation assignments due to housing, family, and spousal/partner employment concerns. Many firms had a 50% rate for assignment rejection. 32% housing/mortgage, 55% spouse/partner employment, 69% family issues. By using pre-decision, companies increase assignment acceptance, reduce failed relocations, save money, and project a progressive and employee-friendly image. Going back to the reasons cited for assignment rejection, let’s see how the in-depth questioning and available services of pre-decision can address each of those concerns. Candidates are interviewed to learn about community and lifestyle preferences. Candidates are presented with destination spotlights that highlight the cost of living and attractions of the assignment location. Area tours are arranged. Candidates are pre-approved by participating mortgage lenders. Candidates are provided with home selling and home buying assistance. The pre-decision interview includes an employee’s spouse or partner. Pre-decision best practices programs offer a career assessment to develop an action plan that will help the spouse or partner adjust to the new location. This can include resume services, aggressive job searching, and more. Through the pre-decision interview process, the specific needs of the family are determined. To help candidates better understand the new location before moving, they are presented with school reports and detailed community information. Community tours are arranged so that transferees and their families can see schools, hospitals, and centers of culture and entertainment prior to moving. 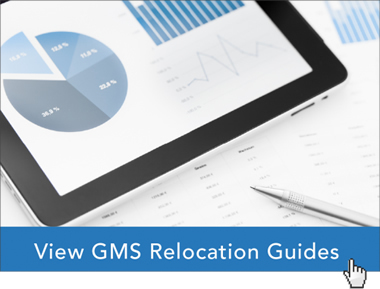 Because of how it engages relocation candidates and their families, increases assignment acceptance and success, and saves companies time and money, pre-decision best practices should be utilized when it comes to mobility management. Learn more about how pre-decision programs can benefit both you and your transferees.